Riding the bus from the terminal in Bangkok, Suvarnabhumi Airport, the air-conditioning is cold, blowing hard against the heat of the city. For what seems like an hour, we ride to the far end of the runway to find our Bhutan Airlines plane waiting on the tarmac. Once the bus arrives, we climb the stairs to board the plane. Hopefully, it won’t be raining as we make our way onto the plane. We are greeted with kind folk, welcoming us onto the flight and directing us to the proper seat. The excitement is at a fever pitch, imaging travel into one of the most remote kingdoms in the world, a trip very few have taken. As we settle in, we get ready for our trip with a first stop in India and the final destination, Paro Bhutan. We take off and head around the Andaman Sea toward India, landing in Kolkata, a huge trade port in eastern India. The stop is short and we soon take off again to Bhutan. If we are lucky, the clouds part enough for us to see Mt. Everest in the distance as we fly into far western Bhutan. The plane descends through the clouds flying just above the mountain tops into the country. Unlike many flights in the world, the Bhutan flights huge the mountainsides, following the contours of the mountains as the plane descends into the Paro valley. At the last minute, the plane makes a sharp descent to the runway and a very quick stop. The flight is like nothing most folks have ever experienced and the exhilaration is real. We walk off the plane much like we came aboard, walking down stairs on the tarmac. We make our way into a small building and the customs check before walking into the kingdom of Bhutan for the first time. After a brief bag and passport check, we exit the building and meet our guide, Namgay. For the next week or so, he will lead us across the country and to a wide variety of places that reveal the unusual and wonderful quality of Bhutan. By the time we are finished, we will never want to leave! The flight into Bhutan is amazing! Take a look at this video and let me know what you think! As you step off the train in Kyoto, the people and the station overwhelm you. Hundreds of folks traveling to destinations all over Japan are moving through this train station in the center of the city. After our 45 minute ride from Kansai airport, we head toward the south exit to find Bus #100. 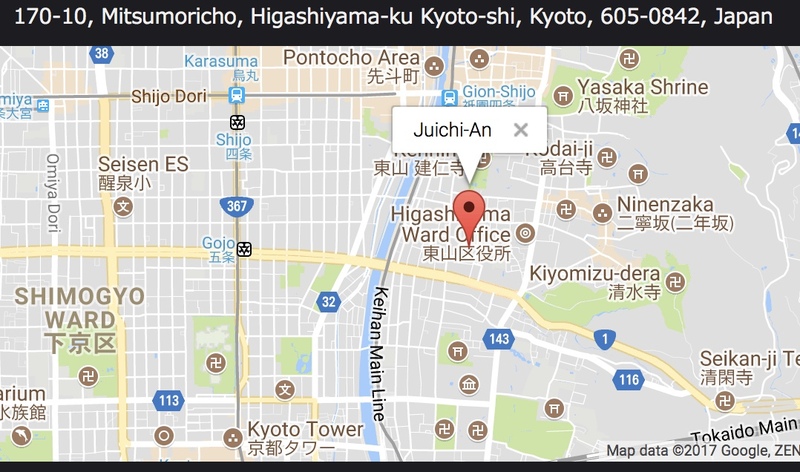 We hop on the bus and pay using our bus passes and head west, toward the Higashiyama neighborhood and the rows of traditional Japanese homes called Machiya. 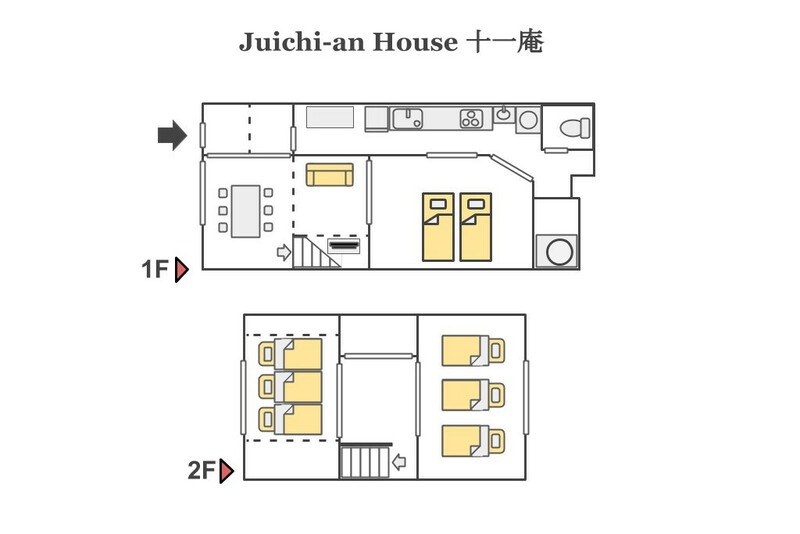 After a winding walk through the neighborhood we look around for a small alleyway that opens into a small courtyard of twelve houses….at the end of the courtyard, we find our spot, Juichi-an, number 11. This particular house is managed by a wonderful company Windows to Japan. These folks are easy to work with and provide excellent services to visitors in and around Kyoto. 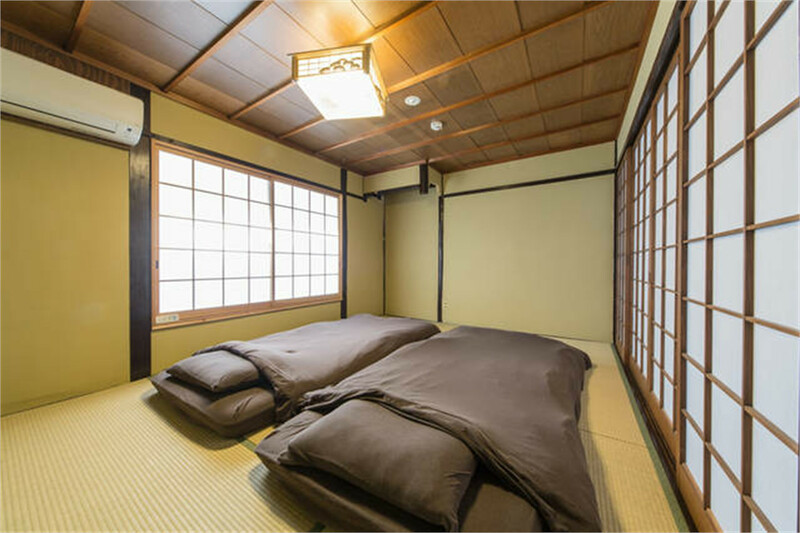 As you can imagine, a stay in a machiya is like living in the past; a way to experience Japanese life as millions live it to this day. 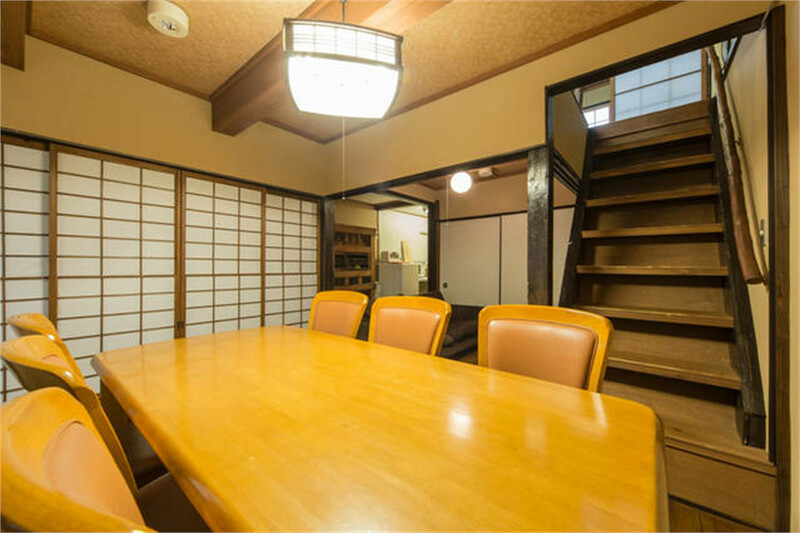 The rooms are small, the space tiny, compared to U.S. homes, and the machiya have an undeniable charm and feeling of being IN Japan in a way that a hotel room simply does not capture. 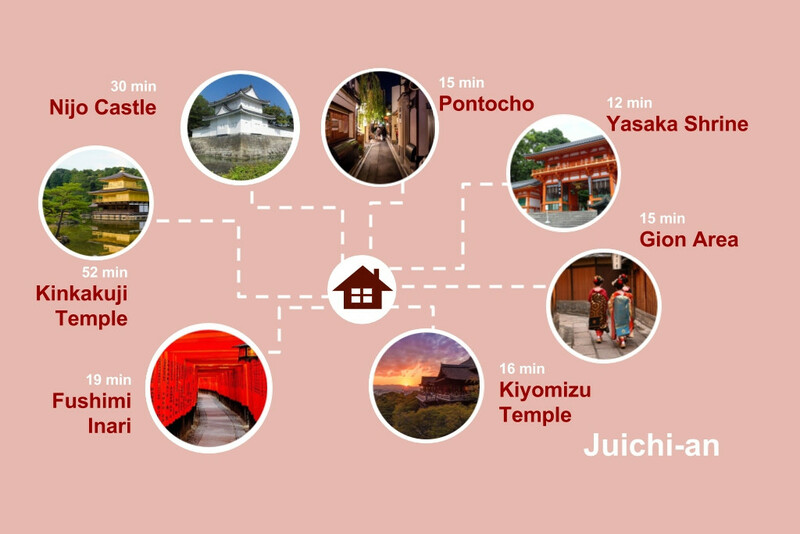 Our days are spent out and about in Kyoto visiting shrines and temples, shops and museums. Our evenings will be spent in this traditional home. We bring food from the local market, prepare it in the kitchen, and eataround a table sharing our experiences of the day. Our time in Japan will capture your imagination and offer a perspective on the city few people ever get to experience. After these days in Kyoto, you will leave with a real appreciation of the city, Japanese culture, and the history of this remarkable place. Are you ready for the adventure?